Wedbush Securities video game analyst Michael Pachter is at it again. This past week, the often quoted analyst used his weekly "Pach Attack" segment on Gametrailers.com to call out the "whiner BioWare fans" and even sites them as the reason the popular doctors Ray Muzyka and Greg Zeschuck announced their early retirements. Pachter has nothing but praise for the doctors in his segment, claiming that they departure will have huge implications and that from here on out, BioWare will be like having Godfather movies without Francis Ford Coppola at the directors helm. He also claims that naive gamers who believe these guys only make games for money are misinformed, and that men like the docs do what they do simply because they get pleasure in giving the world pleasure with their games. According to Pachter, the doctors informed EA of their intentions to retire in April, roughly around the same time the furor of Mass Effect 3's controversial ending was in full swing. Using the timing of the announcement, Pachter ties the two events together and used it as a crying point to call out whiners, a term he often separates from legitimate "complaints." "That really could've been the straw that broke the camel's back for the doctors. I think you guys who were out there whining vocally about how BioWare screwed you out of a happy ending, should really look in the mirror and wonder how you're not getting anything like those games again with the doctors gone. You might get good games, they won't be the same. That is like making a Godfather movie without Coppola being involved. It's just not the same. Your whining just pisses everybody off. It pisses off creative people. You're not getting any enjoyment out of that. You have lost two super creative guys. You chased them off. Shame on you." 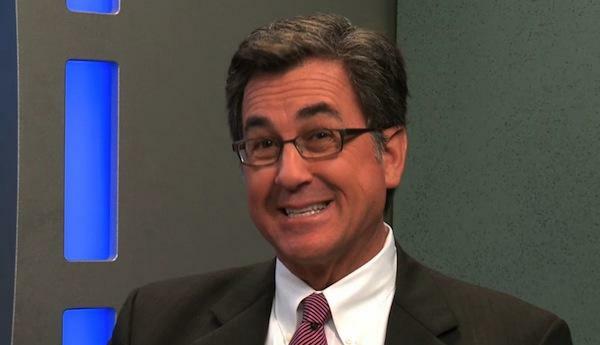 I'm a big fan of Pachter. His segments are always insightful and entertaining, and I just love his smug ability to ignore the mass of his head. However, I can't help but feel he is pulling zt straws here. I'm pretty sure that the doctors would have already set aside plans to retire, and their other passions in life, which Pachter mention as "craft beer" and "helping animals," were more than enough to get them away from gaming for a while. With that said, I am also sure that between the almost certain death threats received from overreacting morons on the Internet and the lawsuits brought against them for false advertising didn't make the doctors too happy. How about it gamers? Is Pachter grasping for air on this one and venting? Or is it really all on your pinheads who ruined it for the rest of us? Better yet, was the "improved" ending the Mass Effect 3's worth putting the future of the development company in question?